There’s no question that maintaining a nutritious diet can help keep your body healthy. But when it comes to which foods can specifically benefit which body parts, science remains surprisingly sketchy. But nature gives us a big clue as to what foods help what part of your body! Many fruits and vegetables do look like certain body parts and they may help those body parts stay well. Here are some foods that mirror the body parts they provide nutrients for. Check them out! A sliced Carrot resembles the human eye. The pupil, iris and radiating lines look just like the human eye. Carrots serve an important function in our lives. Munching carrots greatly enhances blood flow to the eyes. Carrots contain vitamin A, vitamin C, flavonoids and phytochemicals which serve as antioxidants. Carrots are extremely rich in beta-carotene, which reduces the risk of developing cataracts. A plant chemical also protects against macular degeneration an age-related sight problem that affects one in four individuals over the age of 65. An avocado resemble the oval shape of a female womb, and it supports reproductive health as well. Avocados are a good source of folic acid. Folate has been found to reduce the risk for cervical dysplasia, which is a precancerous condition. Modern research shows that when a woman eats one avocado a week, it balances hormones, sheds unwanted birth weight, and prevents cervical cancer. The womb-shaped avocado takes approximately nine months to grow from blossom to ripened fruit and contains an usually large seed (baby) in its center. There are said to be over 14,000 photolytic chemical constituents of nutrition in each one of these foods. Tomatoes are red and usually contain four chambers when sliced are resemble the structure of a heart. Tomatoes are rich in lycopene and helps prevent coronary heart disease, prostate cancer, breast and more. Furthermore, tomatoes are rich in folate, which aids the production of red blood cells in bone marrow and heme that helps in transporting oxygen in the blood. Walnut resemble the brain, mimicking the wrinkles and folds of the neocortex. Walnuts have a very high content of omega-3 fatty acids, which help to prevent cognitive decline since mammalian brains are composed of, and require, the exact same acids. Walnuts help develop more than 3 dozen neuron-transmitters for brain function. Walnuts help warding off dementia. Bunched grapes closely resemble the branches of alveoli that comprise our lungs, and which allow oxygen to pass from the lungs into the bloodstream. A diet high in fresh grapes has shown to reduce the risk of lung cancer and emphysema. Grape seeds also contain a chemical called proanthocyanidin, which is thought to reduce the risk of allergy-related asthma. One reason that premature babies struggle to survive is that, these alveoli do not begin to form until 23 to 24 week of pregnancy. A Mushroom when sliced in half resembles the shape of the human ear. Mushrooms are one of the few foods that contain vitamin D naturally, which is healthy for bones and improve hearing abilities, especially the 3 tiny bones in the ear that transmit sound to the brain. Long, lean stalks of celery look just like bones structure. This food specifically target bone strength. Celery is rich in silicon and Vitamin K, which are needed for healthy joints and bones. Bones are made up of 23% sodium and celery is a great source of sodium. If you don’t have enough sodium in your diet the body pulls it from the bones, make them weak. Celery replenish the skeletal needs of the body. Sweet Potatoes are edible starchy tubers that are widely cultivated as vegetables. They closely resemble the human pancreas and can actually balance the glycemic index of diabetics. Sweet potatoes are high in beta-carotene, which is a potent antioxidant that protects all tissues of the body, including the pancreas, from damage associated with cancer or aging. Ginger looks like the stomach and it also aids in digestion. It is having the ability to prevent nausea and vomiting, and cure motion sickness. It also slows down the growth rate of bowel tumors. 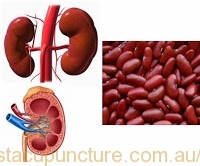 Kidneys beans are large dark-red beans that are shaped like human kidneys. They actually heal and help maintain kidney function when regularly consumed. Kidney beans provide a variety of minerals and vitamins, and so are generally beneficial for your health. They contain molybdenum, which helps sulfite oxidase to form and is responsible for detoxifying sulfites. 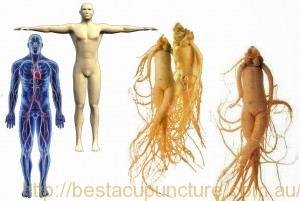 It looks resembles human body, and it is a holistic cure for nearly all ailments. * this article is sourced from the Internet. I wanted to make a brief note to say thanks to you for all of the superb facts you are giving out on this site. My rather long internet lookup has at the end been paid with really good information to exchange with my family members. I ‘d point out that we website visitors are undeniably fortunate to be in a really good place with so many brilliant people with beneficial strategies. I feel rather lucky to have seen your entire web site and look forward to plenty of more excellent moments reading here. Thanks again for all the details.